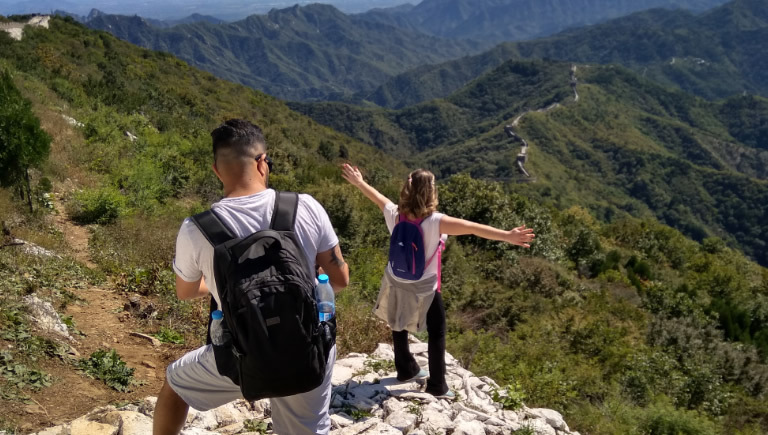 Activities: Pass through the local countryside village of Beigou before hiking through the green pines and forested area with your tour guide to arrive at the far peak of Mutianyu – a secluded, quiet and authentic section of the Great Wall. 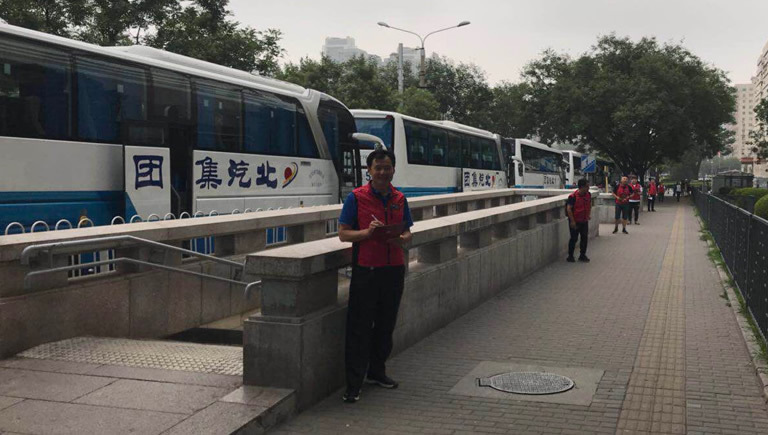 Price Inclusion：Hotel pick-up service, Return bus transportation, Admission tickets to Mutianyu Great Wall, Uphill and Downhill Internal Shuttle, English-Mandarin speaking tour guide, Chinese lunch. View the Great Wall of China on this special sightseeing tour, taking our unique and exclusive route. 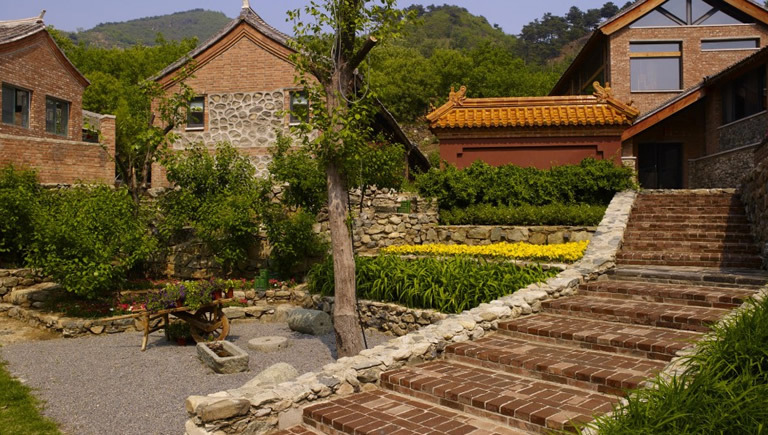 Have the chance to explore Beigou village, a small countryside village by the foot of the Great Wall before hiking through the forest up to the far peak of the Great Wall. Completely off the beaten track and away from the normal tourist route, this tour takes you to an area that is only known by locals. 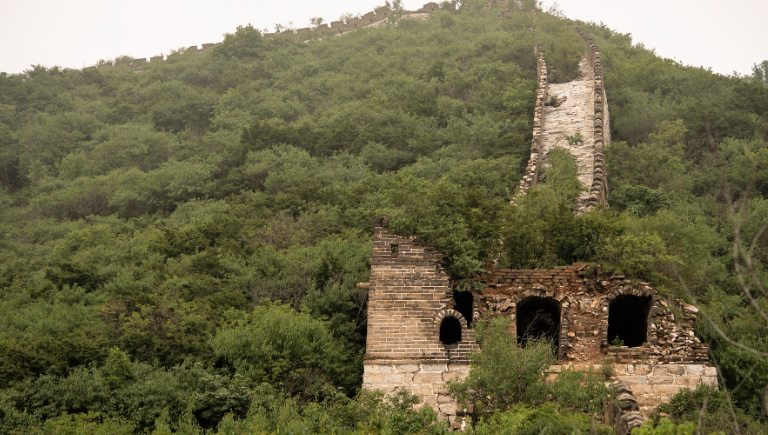 Here, you can fully appreciate the tranquil environment and serene surroundings of the Great Wall as you hike through the forested area, without many other tourists crowding around you! 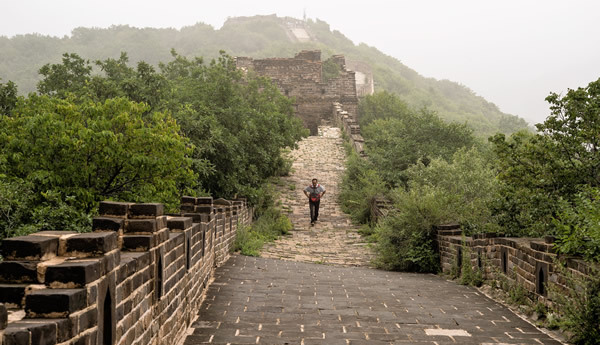 Be accompanied on your climb by our expert guide, allowing you to learn about the rich history of the Great Wall. From the highest tower, you will descend the Wall to the lower towers, where a pleasant staircase takes you to the bottom, giving you a last chance to look back and admire the Wall (or alternatively, take the cable car or toboggan down). This tour is suitable for both experienced and amateur hikers of all ages, offering either a challenging or gentler route to choose from. Enjoy a private part of the Great Wall, accessible only by our secret route and far from the crowds. Challenge yourself by choosing the steeper hike, or alternatively, opt for the gentler route to Tower 23. Gain a better understanding of the Great Wall’s history and location by first passing through the local Beigou Village before hiking to the top. Enjoy breath-taking scenery from the most exclusive viewpoints on the Great Wall, giving you the best photo opportunities! N.B. Hotel pick-up service is only available for hotels located within the 2nd Ring Road. 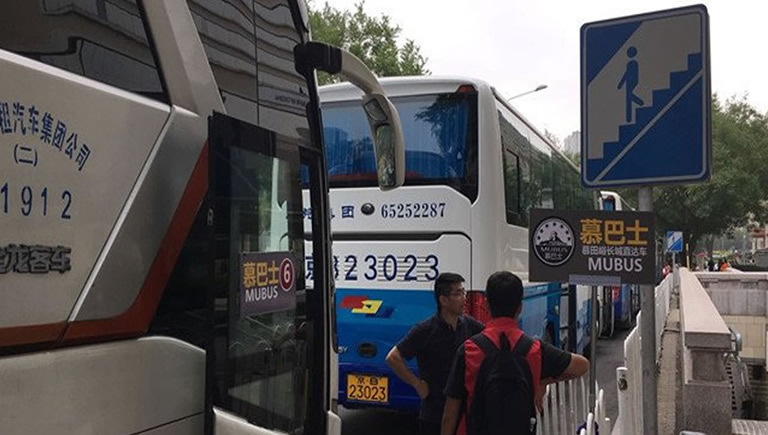 If your accommodation is an Express Inn, homestay, B&B or apartment, please go to the meeting point, as their location in the narrow streets does not permit bus parking. Pick-up time is usually from 06:40-07:20 dependent on your hotel location. You will be informed of the specific time by your tour guide the night before your tour departure. If you are not using our hotel pick-up service, please arrive at the meeting point before 07:40. Catch the subway early in the morning to get to Dongsishitiao （东四十条） metro station on Line 2 on time. After coming out of Exit C, walk east along the side of the road. The departure point is located 50m east of the Beijing Swissotel Hotel. To the side is your departure point, where you will see our personnel wearing red uniform on the road awaiting your arrival! 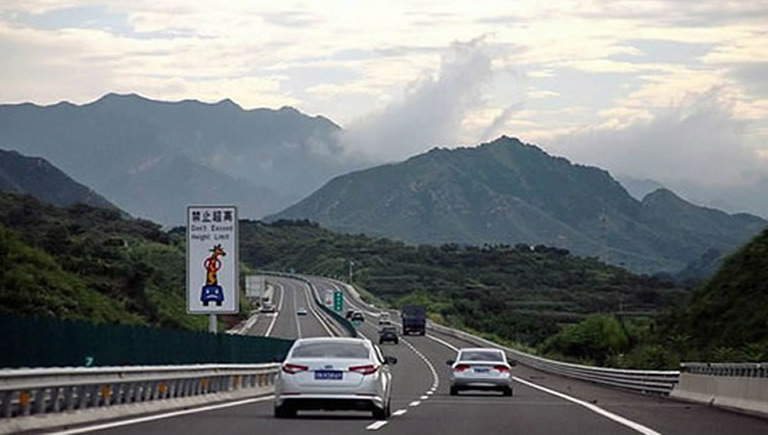 Once the coach has set off at 07:40, get onto the highway to Mutianyu. The journey lasts about 1.5 hrs so sit back and enjoy the scenery out of your window and guide’s commentary along the way. 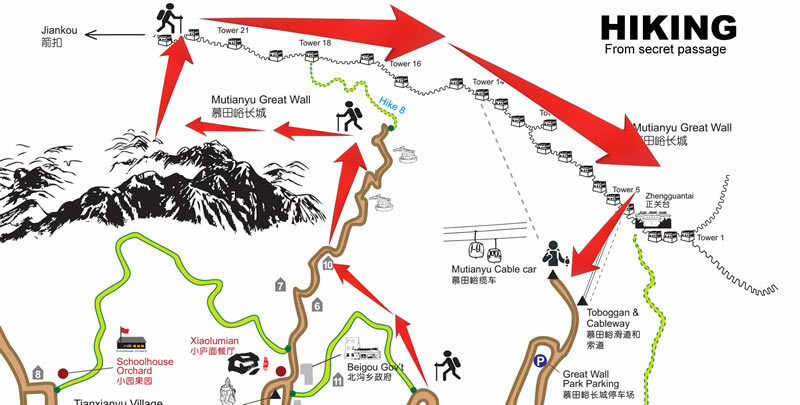 Arrive at Mutianyu at around 09:30 where you will proceed to take the hiking trail. First, pass through Beigou village with your guide, where you can learn about and witness the local country life there. Afterwards, begin to hike through the forested area. Inhale the smell of the green cypresses and pines that fill the air and begin to see the Great Wall snake through the mountains as you climb higher. After about 1 hour and 20 minutes, arrive at the Secret Beacon Tower where you will be taken to walk along this private stretch. Appreciate the architectural marvel and tranquillity of this area which is away from the crowds – allowing you to experience the Great Wall at its best. 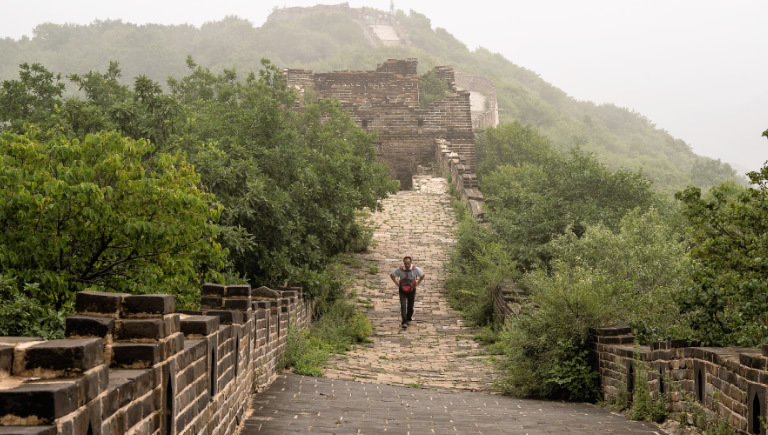 At 12:30, start descending the Great Wall by either taking a gentle trail, the cable car or the toboggan to the bottom (our guide can help you decide). Upon arriving at the bottom of the Wall, tuck into a delicious lunch at a local restaurant to replenish your body after your hike! 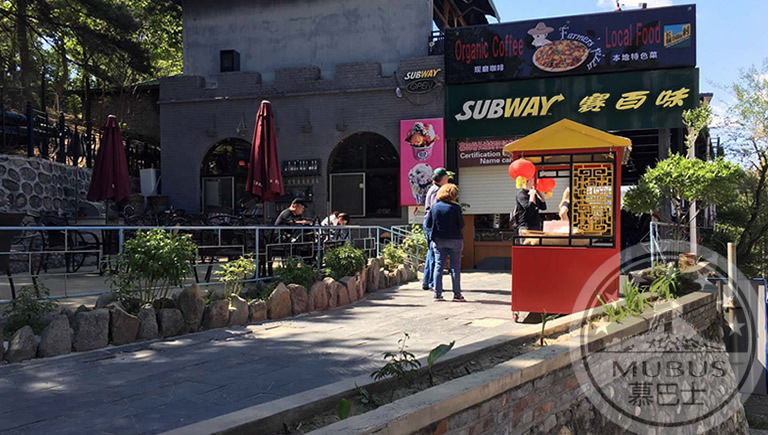 At 14:30, board the bus to leave Mutianyu Great Wall and return to downtown Beijing. 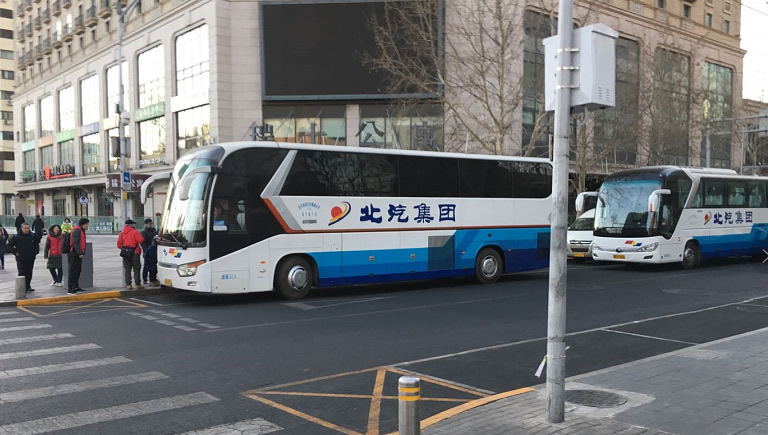 Between 16:00 and 16:30, Mubus will reach the Beijing Swissotel Hotel and you can take the subway to your next destination.